One of the most frequent questions families ask on our blog is whether their relatives will be eligible for NHS Continuing Healthcare funding. And yet it’s a question no one can answer – at least, not until the person needing care has actually been assessed for NHS Continuing Healthcare. It is possible to hazard a guess about whether they should be eligible, but the only way to actually know is to be assessed. What’s more, a Continuing Healthcare assessment is the first thing that should happen when a person needs care; means testing and being told to pay for care is strictly secondary to this. 1. Does your relative have some health needs AND do they need care? If the answer to this is yes, don’t pay a penny in care fees until they’ve been assessed for NHS Continuing Healthcare funding. This process starts with a ‘Checklist’ assessment. Here’s how to get the assessment process started. 2. Has anyone told you your relative ‘won’t qualify’ – before the Continuing Healthcare assessment process has even begun? If so, ignore them. As we mention above, no one can tell you this until after your relative has actually been assessed. The person telling you that your relative won’t qualify may have a vested interest in trying to put you off. 3. Do people keep talking to you about ‘doing an assessment’, and yet you’re not sure what they actually mean? They may be talking about a social care assessment – or perhaps a straight forward health assessment or some other kind of assessment. Not all ‘assessments’ relate directly to Continuing Healthcare. Read more here about different assessments and which one is relevant when. 4. Have you read the eligibility criteria for NHS Continuing Healthcare? This is really important. You can find the links to the criteria in the main assessment forms here. You’ll see that there are two main stages to the Continuing Healthcare assessment process: an initial Checklist assessment and then a full multidisciplinary team (MDT) assessment. You’ll also notice that there is a scoring system in both cases, i.e. a person will be given a score for the severity of their needs in relation to different aspects of their health and care. abide by the law and the principles established in the Coughlan case. The courts and the statutes made by Parliament about care funding and care fees always override any ‘guidance’ published about Continuing Healthcare. Examples include the ‘Standing Rules’ and the Care Act – and you’ll find links to those here. Most importantly, however, the local authority has a vital role to play in the Continuing Healthcare process. The local authority must decide whether or not a person’s care needs falls within the local authority’s own legal remit for providing care. 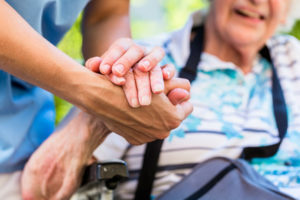 If the person’s care needs fall within the local authority’s legal remit, the person will be means tested (this is actually voluntary), and if the person has sufficient means they will have to pay. If the person’s care needs are beyond the local authority’s legal remit, the person should receive NHS Continuing Healthcare funding to cover ALL their assessed care needs. Make sure you also read the national guidelines for Continuing Healthcare funding. These are called the National Framework for NHS Continuing Healthcare and NHS-funded Nursing Care. 5. Are you finding the divide between health care and social care needs confusing? Although there is no definitive list of which care needs are social care and which are healthcare needs, the National Framework goes some way to defining each in broad terms. Read more here about the difference between a social care need and a healthcare need. Each person’s case should be looked at individually, and all care needs should be taken into account to determine whether a person is or isn’t eligible for NHS Continuing Healthcare funding. I wonder if you could advise me please? My 87 year old father has had a stroke and has ended up needing a permanent catheter for retention. He is at home with 4 carers a day because he cannot even drain the catheter himself. should he qualify for continuing healthcare funding please? Where does the Continuing Care Assessment take place? My dad lives at home. How can an assessor judge his care needs if just meeting him? Only I know how he his 100%!! Hi Jason. The assessment can take place anywhere but will usually be conducted in the care setting. It is perfectly fine for it to take place in your father’s own home. It is essential for you to be there for the reasons which you state. Kind regards. Thank you Richard for your reply . I will purchase the book . Any help appreciated . The process seems very complicated I worry for those who don’t have family. Wow lots of interesting info. My dad has had Lewy bodies for about 10 years . Sadly at nearly 90 he has deteriorated. He’s now in an excellent assessment centre attached to a hsp . A meeting to decide a way forward is being called next week with a view to residential care which I agree is necessary . This will include me POA and only daughter . Mum is 88 and living in their assisted living apartment and I’m worried about her finances as she lives of dads money . How do I see if he’s entitled to this NHS Continuing Healthcare. It’s been said he’s medically fit! He insulin dependent diabetic with Lewy bodies and so now frail . He can now walk or shuffle a little but couldn’t when he went to the assessment center . What should I be saying preparing for this meeting . They seem very keen on mentioning personal care but I think dad would need nursing care as well. They have got savings but these won’t last long especially with mums at home care. Thank you for your kind words about the book, Richard. Thank you, Richard, for your very kind words about the book. Is it possible/legal for the CCG to “stack” the mdt in its favour ? Can we object to or ask for staff to be appointed? My father has mixed dementia and since Christmas and has deteriorated considerably to the point that he has become violent towards my mother; his gp has prescribed him a Benzodiazepine to try and calm him down. He doesn’t recognise her when he is being violent and refers to her as ‘that woman’ and has told me she needs killing. We have arranged a social worker for him and have had a visit from a member of our local mental health team who has suggested respite care and a means test to assess who pays for his care. When asked about what would happen when he returns home she advised that he would probably stay at the home as a return to the house would possibly create more problems. She talked about some local homes that would be suitable due to their mental health care, based on this my question is two-fold: if the lady from the mental health team suggests only certain homes are suitable due to his mental health needs would this point towards him needing Continuing Healthcare? And would the violence he has shown mean that he should be fast tracked? First, apologies for not updating as promised and, second, thanks again for all the encouragement. The day after my last post, whilst visiting Mum, I asked the Ward Manager if she could confirm that the Multidisciplinary Team (MDT) had met and that the Decision Support Tool (DST) had been completed. She stated that neither had happened and didn’t need to. (Still haven’t found out what the Social Worker was talking about – conveniently ‘gone sick’ !!) and that the Checklist stood and that was the document that would decide Mum’s ‘future’. I stated that we had reservations about completion of the Checklist and its findings and that we would be appealing. She then, quite persistently and vehemently, pushed me to raise the points with her, which I politely declined several times (I hadn’t got me notes there in any case). At this point, she became quite agitated and said that “it didn’t matter whether we submitted a formal appeal or not”, because the appeal paperwork would come to her ” and she would “not be changing any of the decisions” !! And anyway, we were only doing this to get funding and “in her experience, she had never known it to be given”. That evening our 6 page appeal AND COMPLAINT was submitted, highlighting all the procedural errors and our reasons for disputing the domain decisions. Three days later, we were contacted by a very contrite and helpful member of the Stroke Coordination team and a meeting arranged for a later date in order that a new Continuing Healthcare (CHC) assessment could be completed. We have attended that meeting, chaired by the Stroke Coordinator , a Doctor, Snr Staff Nurse, O/T & Physio. Apologies were made for our lack of involvement, the way that the CHC had been completed, and the ignoring of our views. We then had a 2 1/2 hour discussion of the Checklist where we put our views and our concerns and had detailed explanations from their side. The Checklist now looks very different, with a ‘negotiated’ score of 3 ‘A’s, 5 ‘B’s & 3 ‘C’s !! We are now awaiting the meeting with the MDT and completion of the DST. I will keep you posted. At this point a big thank you to Care to be Different and all that have commented and encouraged. My advice at this juncture is to read as many of the articles posted here and take your leads from them, but I strongly recommend that you download and print ‘NHS Continuing Healthcare Checklist’ document and fill it in with your own conclusions/evaluations, the ‘National Framework for NHS Continuing Healthcare and NHS-funded Nursing Care’ document and study and highlight areas where mistakes have been made and points that are applicable to your particular circumstances and lastly the ‘NHS-funded Nursing Care Practice Guide July 2013 (Revised)’, doing the same with that. c. to jump through hoops to help if you do your homework and challenge them !! DON’T GIVE UP, DON’T GET FOBBED OFF, DO YOUR HOMEWORK !! . . . and ‘Good luck’ !! Richard, that is the argument to use whenever they refuse access to personal data…… After all, much of it wad passed by a carer and not the patient. • therapy and/or rehabilitation; • rapid response support; • hospital at home; • supported discharge; • intermediate care/health reablement; or • an interim package of support in an individual’s own home or in a care home. So that means that anyone (and there seem to be many these days), that receives one of those delayed CHC assessments ‘so that the needs can stabilise’, should be receiving paid care until such time as they are found to not require it, usually during an actual MDT led assessment. What is hilarious within this guidance is that Para 9 states that a CHC assessment must be undertaken before Funded Nursing Care can be offered. Then Para 16 states:- ’16. 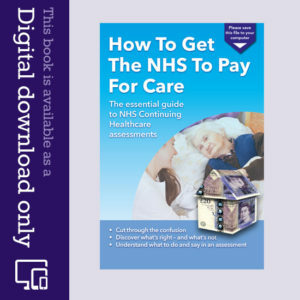 Whether the decision about NHS-funded nursing care is made subsequent to a full assessment of eligibility for NHS continuing healthcare (using the Decision Support Tool6 (DST)) or following use of the NHS continuing healthcare Checklist, a registered nurse should be involved in identifying and documenting the registered nursing needs.’ ……. So contradicting Para 9 above. Then Para 18 states:- ’18. CCGs are reminded that a decision about the need for NHS-funded nursing care should only be made after a decision that the individual is not eligible for NHS continuing healthcare. ‘ With guidance like this it is no wonder that NHS staff make so may mistakes. I personally would challenge the completed Checklist now. You need to be careful that the hospital doesn’t try to discharge your mum rapidly without giving you the opportunity to challenge it. Look up hospital discharge procedures on this site, it really helped me recently. I am helping my cousin as my Aunt is now facing similar challenges. Initially when my cousin asked for a Checklist to be completed she was told that she hadn’t made the criteria, she wasn’t included in the process or given a copy, that is against the guidelines. My Aunt was discharged into social services care at 8.30pm and transferred to a care home for a 3 week stay. She is now back in hospital. I believe that was breaking the law, when asked for the completed Checklist, surprise, surprise it can’t be found! I would advise you to be prepared to challenge any social worker as to the legitimacy of taking responsibility of your mum’s care. In the Checklist guidance it gives the scoring to recommend a full assessment. I would suggest your mum is at a high risk of falls under mobility and that is an A. How can social services explain the decision of another organisation? It is actually incumbent (in law), on any decision maker to explain that rationale for the decision, whenever asked. As for the rope to hang themselves, it is the method that I have always adopted. For example, I never bother with limiting local appeals to what they might understand. I write them exactly as if I was addressing them to a better qualified Independent Review Panel. (IRP). This is because it saves me time later and allows for insertion of further infractions committed during local appeals. I also make some Freedom Of Information Requests, because often, questions are not answered or answered incorrectly. Having conflicting information is a boon when challenging a faulty decision. My 87yr old mother had a major stroke just before Christmas which has taken her left side, leaving her unable to walk,stand without the assistance of 2 nurses/carers, needing toileting with a hoist and diminished /restricted sight in her left eye. She has a urinary catheter and needs regular bladder flush outs and is doubly incontinent. Her existing medication for other health issues is crushed for her to take as her fluids have to be ingested with thickener and her food is pureed. She has skin breakdown that requires daily care and has mild altered mental state which Dr’s put down to fatigue (common after strokes). She has been in hospital since the stroke and has spent the last 4 weeks in a Rehabilitation unit. A Continuing Healthcare (CHC) assessment has been completed by a Snr Staff Nurse, although not completed fully and without asking my mother’s permission and without advising my brother and I (who have POA) to be present, stating at a ‘Family Meeting’ that they were going to do a ‘Needs Test’??. We have a copy of the CHC but have yet to agree its contents. The CHC was 8 ‘C’s and 3 ‘B’s and therefore a recommendation for Social care only. We are going to challenge the assessment scoring, but would Mum’s paralysis and obvious disability mean that she would be eligible for Continuing Healthcare Funding ? Jim, this sounds as if a Checklist has been carried out. They are scored with letters. You appear correct to challenge the outcome, it does look like tbey are attempting to move her on from rehab to a less expensive nursing home or her own home and of course very likely at her own expense. Is there any social services involvement currently? If not, then I might try to involve one. Jim, in my experience over the last 7 years you need to be prepared to challenge every stage and be on guard from all so called health professionals, who appear to be on your side but are in fact protecting budgets and often to do know or understand the procedures they should be following. Firstly download all the forms and guidance notes so that you are informed. The NHS Continuing Healthcare Checklist; Decision Support Tool (DST) for NHS CHC, you will be shocked that NHS and social services staff are not following the guidance. You should have been included when the checklist was completed and then asked to sign it. Look at category A first to see if your mum meets the criteria for each domain. Make sure if you disagree it is recorded. You should have been given a copy. Do the same for the DST this will take hours, you need to be very thorough. Also and importantly try to ensure responsibility for your mum’s care is not transferred from the NHS to social services, this is crucial. If a hospital tries to do this ask the social worker for a written copy of the local authority limits test, to ensure the LA wouldn’t be breaking the law by taking responsibility for her care. Something I believe is being done routinely. Your mum would not have any needs if she didn’t have health needs. I hope the above helps, sadly I wish I had known all that 7 years ago. We should be able to trust the so called professionals and just be able to make the most of the time with our loved ones but sadly that’s not the case. I am in the process of supporting my cousin, as my Aunt is in hospital and has now passed the checklist and a meeting has been arranged for Tues Jan 31st to complete the DST. Anticipating a decline please could you tell us if that is the case, what is the situation with funding while we appeal any decision. Will my Aunt remain the responsibility of the NHS? The hospital has already tried to discharge her into the care of social services without completing a checklist and social services accepted responsibility until I pointed out the LA would be breaking the law. My father was awarded CHC in march 2016, via the fast path. Having been in hospital for 6 weeks. He was moved to a nursing home and his condition remains the same although he is slowly losing weight and getting weaker. He is 85, has alzheimzers, is non weightbearing, blind, cannot do anything for himself , on thickened fluids, spends all his time in bed dependent on nursing staff. We have been warned by the manager that they are worried that he may fail the review as he is not demanding enough due to him not wanting to get uut of bed and is not at risk of pressure sores as he moves when asked! He would not if they did not ask he would just stay in one position. How do we address these points any one got any suggestions? His review is imminent. Janette. Look at a copy of the 2012 Decision Support Tool. (Internet). Apart from reading the rules on completion, go to the domains and look carefully at the wording within the domains. It is this wording that they are supposed to consider when awarding the scores during a MDT assessment. They will of course try to get around these words with the often misused ‘professional judgement’ argument. Also, don’t forget that it is not each domain that signifies a Primary Health Need but the complexity/unpredictability/intensity of the entire range of needs. Needs should not be dismissed as ‘needs of daily living’. I have such needs as do you, and I assume that you do not need anyone to assist you with them……. Ergo your loved one’s needs are already more complex etc. than your ‘needs of daily living’. My Mum has mid-late stage Alzheimer’s/Vascular Dementia and has been in a Residential Care Home since Nov 2013. Her condition has recently deteriorated to the point that an NHS District Nurse and Nursing Assessment Team completed a CHC Checklist last week, at my request and the Checklist showed that Mum is “scoring positive” with A’s for Cognition, Behaviour and Mobility and 5 x B’s and 3 x C’s. Although I wasn’t present when the Checklist was completed I wasn’t too concerned as the results were good (in as much as they probably do reflect the situation as it is). I have requested a copy of the Checklist results but I haven’t seen it as yet! The DN also advised that this indicates Mum now needs to be moved into a Nursing Home. This is where I’ve hit a bit of a wall! Although the DN said that her score shows that she is eligible for a full CHC MDT Assessment, she has recommended that “it would be wise to wait until she is in the Nursing Home and settled so a true picture of her health and wellbeing an be ascertained”and that she had been advised a period of 3 mths is recommended. I responded by referring to the National Framework para 60 and the flow diagram (Figure 1) on page 23 (para 61) and requested that the DST be completed BEFORE she moves, particularly as her needs are unlikely to improve over the next three months. ” I have perused the Framework myself and feel that the principle of “wait and see” at 64 and 65 applies, whilst it mentions transfer from an acute setting, and Mrs S would be moving from residential to a nursing home, this would still apply as it is a change of care setting which could improve her issues with better nursing management. However I was still unsure so have contacted CHC directly. Would I be right in going back to her, quoting paras 55, 56, 58 on page 21 and PG 11 11.1 , 11.2 and 11.3 on pages 61 and 62? These all relate to the fundamental principles of a CHC Assessment in that the underlying health and care needs are assessed, not the needs as they appear once they are managed. Para 11.2 could be particularly relevant in my Mum’s case – “if they move to a different environment and their needs reduce this does not necessarily mean that the need is now well managed”. I would be grateful for any advice anyone has as I can see that I’m at the start of what could be a long and drawn out process! Adele, agree with the NHS if they are going to pay for everything whilst awaiting a settling of the needs. 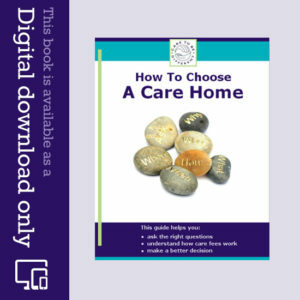 The needs exist and as such, how can the cost of the care required, be your loved one’s? How can it be the council’s? The NHS haven’t agreed to pay for anything as yet. Mum has been self-funding in her Residential Home since Nov 2013. Although the Initial Checklist has suggested that she MAY qualify for CHC Funding they are recommending we wait now until Mum has moved and been in her new Nursing Home for three months before they proceed to the MDT Decision Support Tool. My query is whether this is correct? I believe the MDT Assessment should be carried out now and not three months from now. Do you agree? I would agree. The move already signals increased needs. There again, who will pay in the meantime for the obvious increase in needs if what you understand to be necessary remains unassessed? The onus will be in Mum to pay for the increased Nursing Fees (minus the NHS Funded Nursing Care element which will be paid directly to the Nursing Home as far as I understand ). I sent a lengthy email to the District Nurse last night. Will wait and see what she says. I’ve also spoken to the potential Nursing Home this morning. It would seem that they might not accept Mum anyway, as I told her Mum’s money will be down to LA levels by Xmas (never mind the fact that she has been in a residential Home owned by the same company as theirs since Nov 2013) and she also said that they also might not accept her if she was to qualify for NHS CHC Funding as that will only pay them £658 a week and they won’t accept less than £800 a week! I honestly feel like leaving Mum where she is and let everyone else sort it all out. I guess the rationale here would be that Mum will end up in Hospital at some point and the decision will be made by the Hospital Discharge Team. This is obviously NOT what I wish to happen but if the alternative is that I am left to deal with it all myself then maybe that’s how it will have to be. I feel like I’ve been “fighting” for Mum for the last three years. My late Father would be horrified if he knew what I’ve had to contend with since he passed away. In reply to you, how can Funded Nursing Care be awarded if the CHC assessment has not been done? That is against the rules. “I have spoken directly with CHC regarding your concerns of the next stage of CHC. I have spoken to a nurse adviser (RJ) who has advised that Mum needs to settle following a move and then be reviewed, as you point out mum’s needs may only increase. So, at the moment they are sticking to their guns on this. I have already responded and said that I won’t be looking to move Mum now until Adult Social Services have also completed a Care Needs Assessment as I have concerns about the financial aspects of Mum’s care in the future. I want to make sure that we would not be faced with having to move her again once her money has “run out”! I’m going to adopt their attitude of “wait and see” for the time being but will obviously be keeping an eye on Mum’s care in her Residential Home in the meantime. Does this apply in Wales? Jeff, sad news. But to the matter. My FiL was funded for several years and then ironically when he developed liver cancer and required re-amputation of one of his legs, he suddenly did not qualify anymore. We too have been awaiting action since 31 Jan 2016 when he died and indeed have been fighting for re-instatement of funding since Oct 2013 when it was removed and again in April 2014 it was refused (when he got even sicker). I would advise anyone in this or similar situation to refuse to pay anything until a CHC assessment is completed. Make the council and/or the NHS prove matters before paying for something that is likely not the patient’s expense. As for your resolve Jeff, we are all with you. Good luck. I just wonder if anyone else has had a similar situation, in the early part of 2016 (Jan/Feb) I applied for Continuing Healthcare (CHC) for my mother in Law, after a period of no communication, I contacted the department, who informed me that they were waiting to get the checklist completed, eventually in mid September 2016, after I made numerous telephone calls she underwent the checklist, which indicated that she should go to the next stage (Decision Support Tool – DST). This seemed to get delayed with various excuses – no social worker had been appointed, backlog of cases etc. – unfortunately she passed away on the 18 November, and still hadn’t had the DST, I have since complained to the Local Health department, and this complaint is under investigation. I am of the strong opinion that she should have qualified for CHC from the beginning of 2016, and it is my intention to make a claim for back payments that we made for her care (she was self funding) for part of that year. I would be interested to know if anyone else has had a similar situation, and if so what the outcome was. Or if there is any other avenue of furthering this issue, I have no intention of closing this chapter! Jeff – many people report similar situations to your own. The delays sound like obstruction and/or incompetence on the part of the CCG/CHC team. Keep fighting if you can, and if you have any paperwork/emails relating to when you first asked for the process to be started, those could be very handy. Thank you for all this information, I find it is so valuable as I’m still defending the case about my mother. When mother had her stroke, 24 September 2009, she went to a local hospital A&E dept. and then into the Stroke ward. On December 14 , she was moved to a local Community Hospital as my mother had settled but need medical care. On 30 March 2010, the financial department for the local county council came and asked about my mother’s bank accounts; and was she a home owner. Then, on 09 April, I went to visit my mother on my way home, as I did every night. This day – WOW! The bed was empty – I panicked and found a nurse. I was then told that a social worker had arrived, my mother signed a release form and she was taken to a residential nursing home 12 miles away. Mike, you have not gone on about it too much. But you are correct in that THEY….. don’t want to hear it. If the sums involved are very large and you genuinely seek redress then I would advise seeking a CHC competent Barrister for an opinion. You can, these days, approach Barristers directly if you have a good grounding in the failings of the law and processes so that you and not an unnecessary solicitor, can instruct the Barrister in what you think is wrong. Or there are specialist solicitors that appear to work on cases such as yours. There are even indpendent CHC ‘Nurses’ that can provide support at meetings and appeals. All the best. Thank you for your kind feedback on the website, Mike. Wishing you well with your CHC case.